Connelly’s second novel follows on from “The Black Echo” which I also read and wrote about recently. 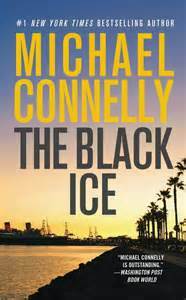 Picking up 18 months after the close of the previous novel this opens on Christmas Day with Harry Bosch monitoring the police scanner to know what is going on. He hears a message about a homicide since he is on duty, thinks he should already have been notified about this. It turns out to be an apparent suicide of a fellow cop working out of the Hollywood Division’s narcotics unit. Although Bosch didn’t know him well it gets his interest and even though he is warned off the case it turns out some of his other cases seem to be tied to this. What follows is a fast (this book takes place between Christmas Day and New Years) series of linked cases taking Harry across the border into Mexico to take down a drugs lord with the help if the DEA, local police and some Bulls. Another excellent police procedural novel with the usual cliches of working against the rules. This entry was posted on Monday, June 1st, 2015 at 10:12 pm and is filed under books. You can follow any responses to this entry through the RSS 2.0 feed. Both comments and pings are currently closed.